The steps to get farmville 2 farm bucks are very simple but before going ahead please make sure you notice ‘Get 15 farm bucks FREE’ on top left corner of your farmville 2 game. What if you are not getting message to get free farmville 2 farm bucks? You can try by clicking on to buy farm bucks but closing the pop up. Refresh farmville 2 and check if you have the notice on your farmville 2 panel. Do not be disappointed if you do not have that notice as so will see it in few days. But PLEASE DO NOT DO THESE STEPS UNLESS you have that notice. 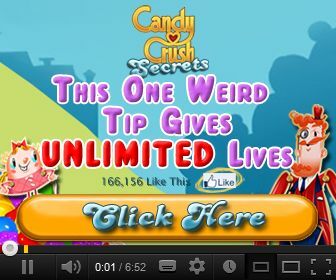 Step 1: Click on the notice to get free farmville 2 farm bucks. You will get the following screen explaining the steps to get free farm bucks. Step 2: Go to App section of facebook and find farmeville 2. Add farmville 2 favorite. Step 3: IMPORTANT: Refresh facebook page and start farmville 2 from favorite section. This is very important and can be easily missed. Once game is loaded you will get the following message. Accept to get 15 free farmville 2 farm bucks and bingo…15 free farmville 2 farm bucks has been added to your farmville 2 game. We consistently try to bring latest Cheats and updates for farmville 2 game; so please do not forget to like our facebook page for upcoming farmville 2 Cheats and updates by clicking here. 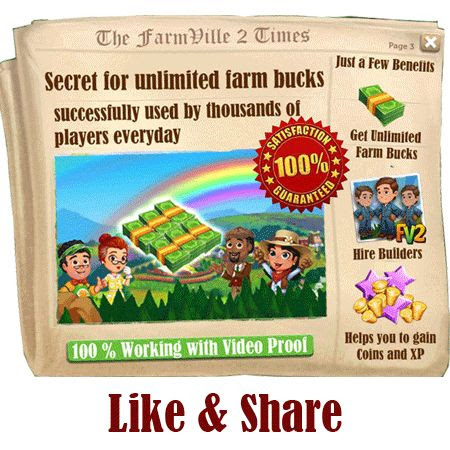 farmville 2 farm bucks are not easy to find so please like and share with as many players as you can. It did not give me the free 15 farm bucks.